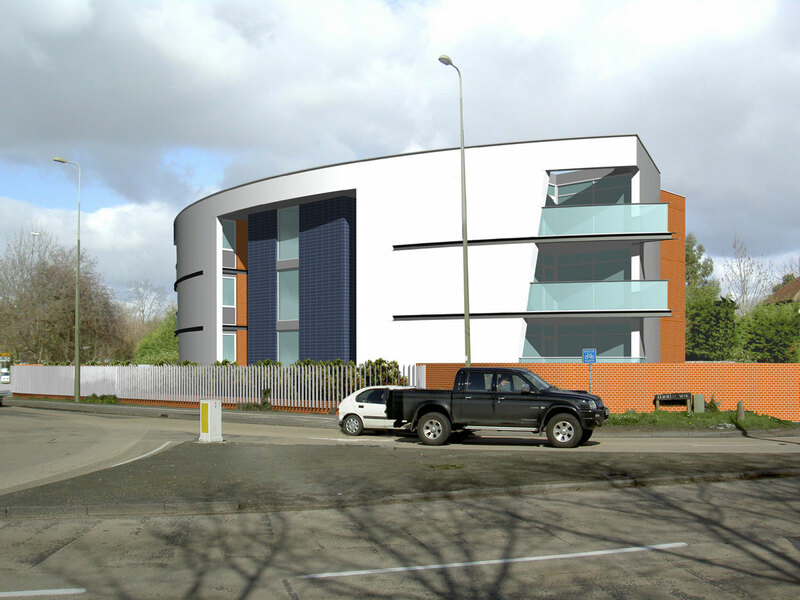 A new block of 9 apartments on a prominent site beside the Oxford ringroad. The building is designed to visibly and practically shield the occupants from the road, with innovative heat recovery ventilation system providing all the fresh air from the rear and saving energy. 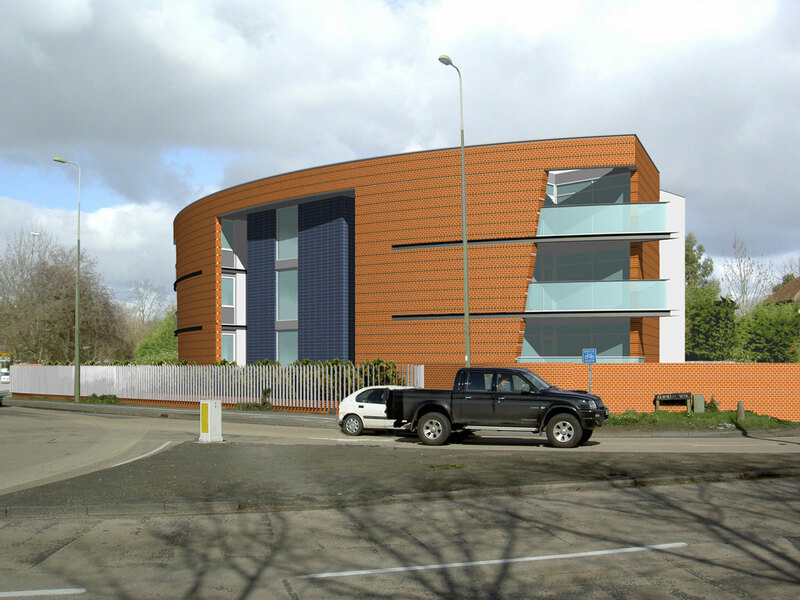 2 different treatments for the façade were offered to the planners, both to suit the local context.